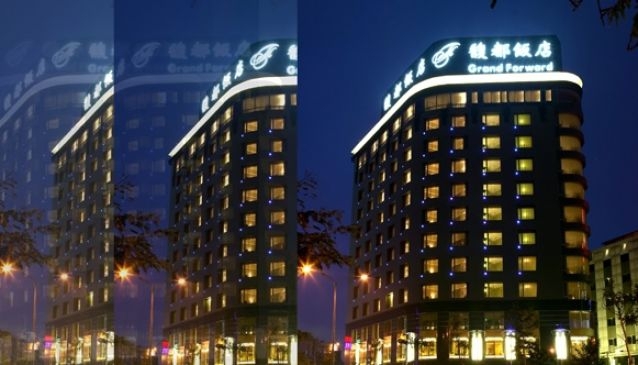 The Grand Forward Hotel is a towering building located in the heart of Banqiao, New Taipei City. Travelers doing business in nearby Zhonghe, Tucheng and Sanzhong will appreciate the location. The hotel is within walking distance to the Fuzhong MRT Station (blue line), meaning Taipei Main Station is a 15-minute ride away. The accommodation options at the Grand Forward range from a budget room to a family room. All rooms are air conditioned and come equipped with a flat-screen TV, a DVD player, wired and wireless internet, and safes that can fit a laptop inside. The bathrooms feature bathtubs and hair dryers. The Grand Forward Hotel has a business center on site, where guests can make use of fax, print and copy services. A conference room can also be rented. There is also a fitness center at the hotel.